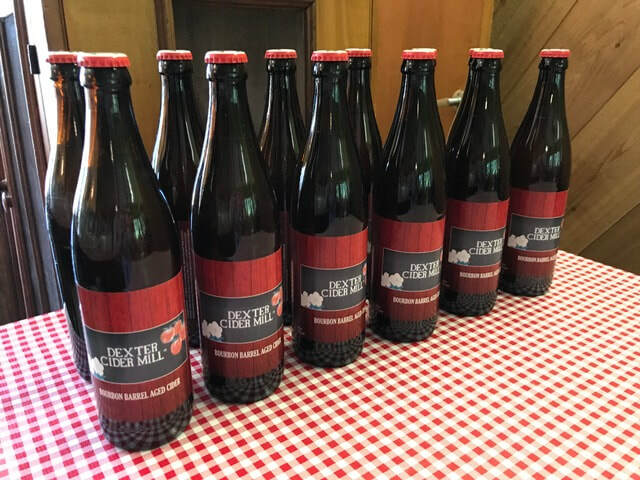 New for 2018, we are pleased to bring our guests another taste of cider, from our very own Hard Cider. Currently available in our Traditional blend and soon we will have available Bourbon Barrel Aged Hard Cider and Apple Cherry Hard Cider. Made here on site, we hope our new addition is a great beverage for our customers to enjoy, it's a perfect addition to your bonfire and tailgating activities! Cheers! Hard Cider available in Traditional, Bourbon Barrel Aged and Apple Cherry.